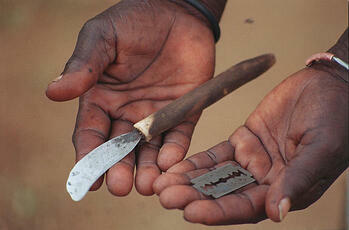 Most often, FGM/C occurs in Africa and is part of a girls’ preparation for marriage. Ignoring her right to have a say about her own future and potential to be educated, her parents, future in-laws, and community often force her into marriage. She may become her husband’s property with few options for continuing her education or to fulfill dreams. Sabina, in Kenya, underwent FGM/C when she was 13 and was married off immediately after. Now 15, she has been able to reclaim her life, thanks to World Vision’s child protection and education programs. Read about Sabina’s determination to save other children, including her siblings, from FGM/C and exploitation. Each year, World Vision holds a children’s forum in Kenya to bring children from all over the country to discuss issues that affect them and to propose solutions. They formulate action plans for addressing FGM/C, child labor, and early marriage, among their top concerns. Children are at the center of World Vision’s programs. When we help a mother and father to build up their income-earning potential, they are better able to support their children to lead healthy lives and go to school. When we build latrines and hand-washing stations, rehabilitate classrooms, and when we train teachers and provide children with scholarships, we make it possible for more girls to stay in school instead of marrying early. When we organize child protection committees and train pastors, local officials, and parents to protect children, we put a ring of protection around girls and boys. We also teach girls and boys their rights and how to advocate for themselves. 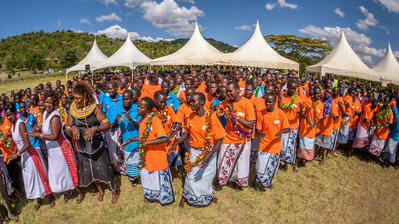 Through our alternative rites of passage, they learn the dangers of FGM/C and early marriage and how to avoid them. They learn to value traditions that build them up and to end those, like FGM/C, that are harmful.